Fimmvörðuháls is the area that sits between Eyjafjallajökull and Mýrdalsjökull glaciers in southern Iceland. An eruption here in March 2010 (only one month before Eyjafjallajhökull) created two new craters which they called Móði and Magni, after Thor, the norse god's sons. Fimmvörðuhals is one of the most popular hiking trails in Iceland, located between Skógar and Þórsmörk. It is also possible to combine these two areas with Landmannalaugar to make it a 4-6 day trek. Don't have 6 days? We can fly you over the area in a helicopter so you still experience its beauty but only spend a day doing it! 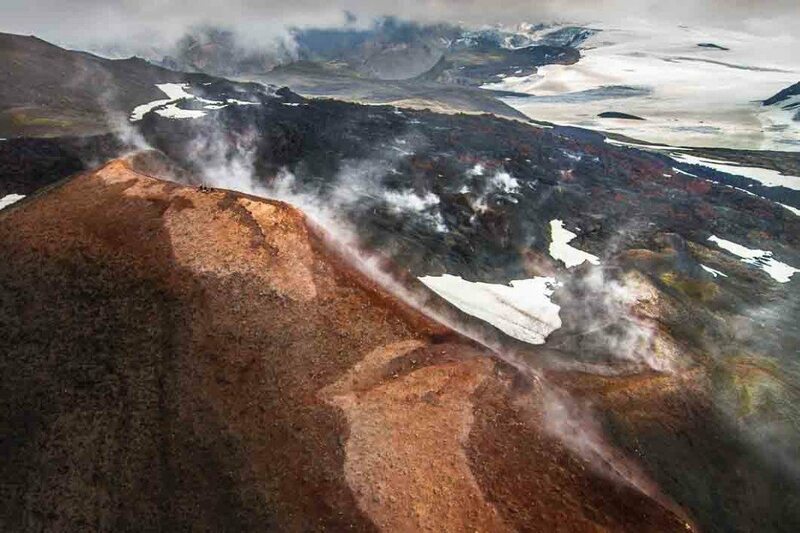 Join us on our Volcanoes and Glaciers tour or the Glacier Lagoon Expedition to discover Fimmvörðuhals from above.